Hospital work one hundred years ago echoed domestic arrangements in the home. Nurses supported the doctors, treating patients as if they were children and undertaking household tasks. 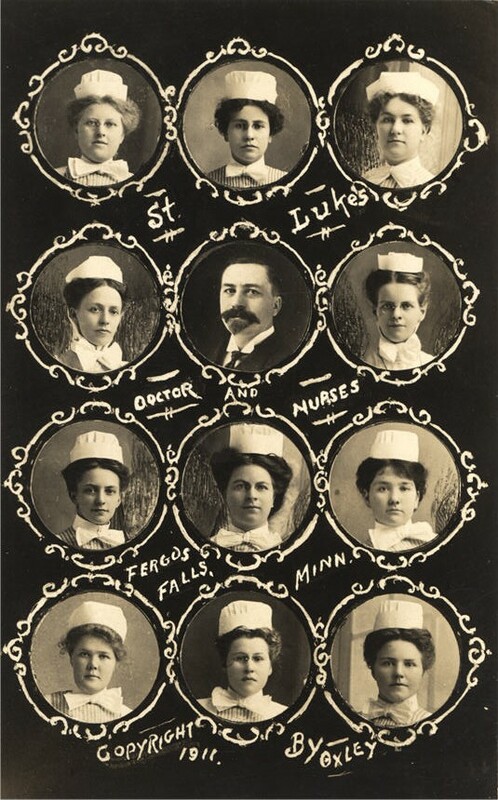 Senior nurse titles (sister, matron) implied a female hierarchy and administrative system. Images of male nurses were rarely seen. Mr. Perkins Bull, a Canadian businessman, set up his London home as a Voluntary Aid Detachment (VAD) hospital during World War I to care for convalescent Canadian soldiers. 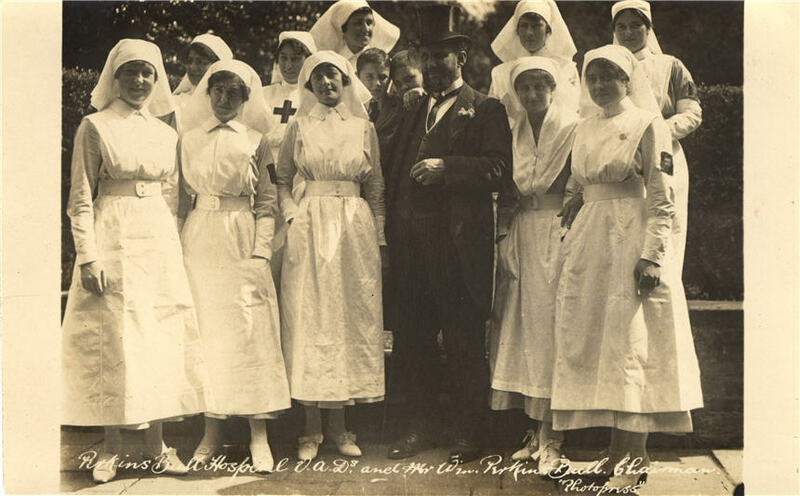 The hospital was staffed entirely by female VAD nurses. 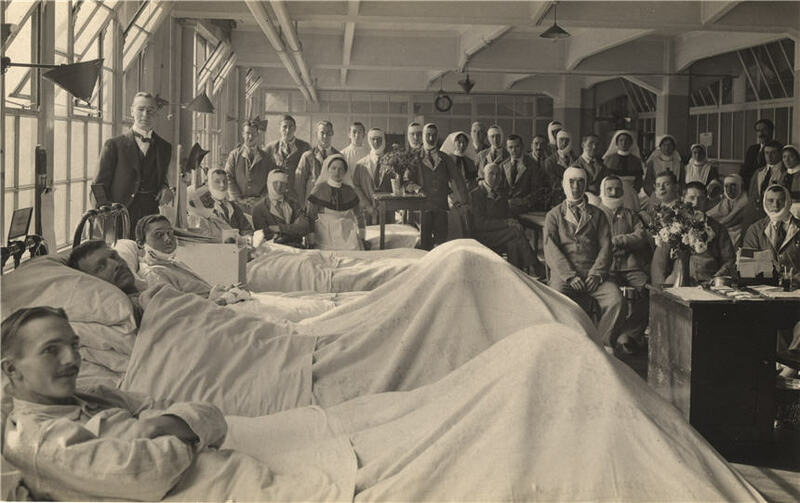 The doctor stands in the foreground to the left, as if guarding his patients, with the nursing staff and convalescent patients gathered behind him. 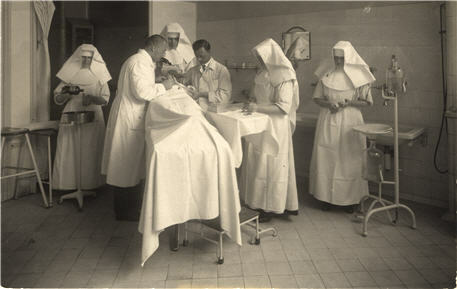 The arrangement in the photograph is typical of many similar ward scenes at this time.